This blog post is going to be pretty technical and really an education tool for anyone attempting to replicate this project or something like it. I am not discouraging you from reading the post (because it has alot of good general information about networking) but I want to give all my casual readers a heads up. Also let me clarify what this project is attempting to achieve. We will be taking an existing internet source/local network and extending it to a remote location. So if you have internet in your home or office and would like to connect a weather station in the yard or an IP camera at a shed, this is a good solution. I connected a computer at my pump station that controls the irrigation system – I use LogMeIn to remote in and monitor/control it. So I had this post ALL written out but after my latest research, I decided to scrap my thoughts. I’m not sure if I’m getting dumber or smarter everyday but I guess its progress. The first recommendation: purchase Ubiquiti equipment. They bring internet to villages in 3rd world countries with this equipment. Seriously. Its cheap. Its versatile. And user friendly. They also have a large community forum where you can find answers pretty quick. I read where TP-Link users are actually flashing the firmware (the software that controls the parameters of the device) and putting Ubiquiti’s firmware on it. Its that good. The price point is going to be around $10-$20 more than the TP-Link. If that’s a deal breaker, no problem. I made my connection work with TP-Link and its just fine. However, as I expand my network and add more devices, I’m going with Ubiquiti. The following guide may be applied to a range of devices but it follows my TP-Link connection more closely. It will also give you an idea of what to expect when installing this kind of thing. Let’s get started. In short we will be creating a bridge using 2 antennas (the technical name for these devices is CPE). One located at the main network (referred to as base antenna in this post) and another at the remote location (remote antenna). I configured the base antenna as a simple access point and the remote antenna as a bridge with a local access point. There are other ways to configure the “operational” mode, but for now we’ll expand on these modes. Router (Firewall, Wireless Access Point, Switch built in one). Here we connect devices to the internet and to each other. This is usually where the DHCP server resides (Definition later). Base Antenna/CPE. We will run a cable from the router to the base antenna, usually on the roof or pole. Because Ubiquiti and TP Link CPEs are powered over ethernet (PoE), we’ll need to inject power into the ethernet cable with either a PoE switch or the included injector. Be careful with purchasing a PoE switch as it may be proprietary for the device (I made this mistake). Different PoE devices work on different voltages i.e. 12v, 24v, 48v. Local Access Point at the remote location to connect our clients. This way our Base Antenna and Remote Antenna are dedicated to communicating with one another (not to clients). We then transform that connection at the remote station to a local “omni-directional” signal with a regular access point (similar to what you have in your house). *Note that links or bridges are typically connected on the 5GHz band and local access points (where we connect clients) are operated on the 2.4 GHz band. This is reflected in the product you purchase. 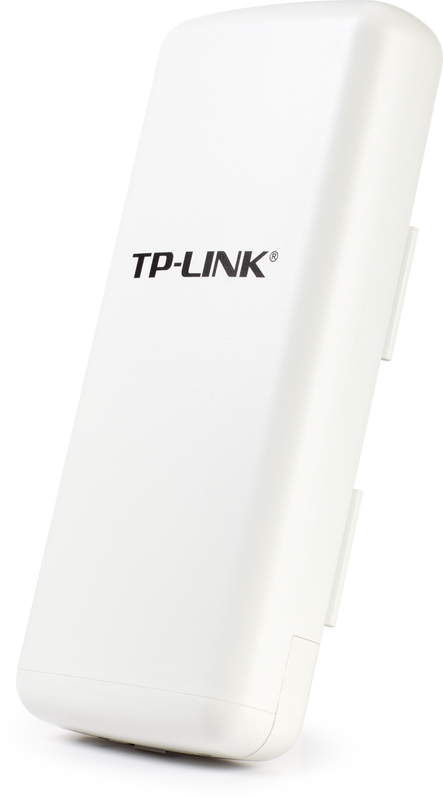 The TP Link CPE I used operates on the 2.4 GHz band. This device allows me to connect clients directly to both the base and remote antennas without the need for additional local access points. The manner in which you connect your clients is completely up to you. For simplicity, just connect directly to the remote or base antenna. For a more stable environment, use a secondary local access point at the remote station. Computer with an ethernet port. Alot of them these days don’t have that, and you’re gonna want to configure the antenna with a hard connection. You may need to google search as you go so get a second computer/smart phone nearby (you will not be able to access the internet when configuring). I’m a Mac person, but I found using a Windows machine easier to use when configuring. If you don’t have an ethernet port (like me), purchase a device like this. It will come handy later when configuring and diagnoses problems. Ethernet cables. Good ethernet cables. I wasted a few hours fumbling around to find one of my cables was bad (I made it myself). If you do make your own cables, get a tester, they’re cheap. Ubiquiti also makes a “ToughCable“. I highly recommend purchasing this cable because it is UV blocking and weatherproof. Purchase the shielded connectors too. Small network switch. This is not an absolute (and doesn’t have to be PoE), but it will make configuring easier when you are connecting and disconnecting the computer to your antenna(s). 1 to 2 antennas/CPEs. I used the TP-Link TL-WA7210N which is basically an Access Point with a built in long range antenna aka CPE. Depending on how many remote points you want to connect, your base antenna may need to be a different device as your remote antenna (we’ll get to this later). You may only need 1 antenna in which you connect your clients directly. I was able to connect my clients directly to the base antenna but found the connection unreliable. This tutorial will describe a connection made with 2 antennas/CPEs. Secondary Local Access Point (Optional). As stated before, you may opt to use a secondary local AP to connect your clients. *When purchasing your CPEs, you will need to designate which band (2.4GHz or 5GHz) you want to operate on. This is device specific and must be the same for the two bridged antennas. Things You Need to Know – Write this down! Your Local Network IP Scheme (Not your ISP public IP address). Most network IP schemes are 192.168.1.x with a subnet mask 255.255.255.0 and a gateway 192.168.1.1 but other common ones are 192.168.0.x. You can find out by checking the IP address of your computer when its connected to your main network. You may also opt to have a separate scheme for your extended network. This takes more time configuring and a little more expertise. I actually did this for my first connection by configuring a separate zone on my firewall. But this is not a requirement and should be avoided for beginners. DHCP Server. How are devices on your network getting IP addresses? Most cases the main router is assigning the IP addresses. Once you find out which device does the assigning, check the scope. This is the range of IP addresses that can be assigned to devices. Do this by logging into the configuration settings of the device. Typically you would go to a web browser and type the IP address of the device: 192.168.1.1. If you don’t know the credentials, the default credentials can easily be found with a quick google search of the manufacturer. Once you’re in, find the DHCP settings; it should be enabled. The same window should display the scope. The scope could include ALL the IP addresses in the network i.e. 192.168.1.2 – 192.168.1.254. If that is the case, you will want to change that to something like 192.168.1.100 – 192.168.1.254. This will give you some addresses that you can statically assign without creating conflicts. Later we will give our antennas static IP addresses such as 192.168.1.10 in order to avoid conflicts. If you do not change this, the DHCP server may assign a device joining your network to the same IP address as your antennas. This is not good. Another way to prevent IP issues is to create a reservation in the DHCP server for the antennas; though you cannot do both. I tend to avoid this method and stick with static IP configurations (not DHCP reservations). Default Antenna IP Address and MAC address (Remote and Base Antenna). We will need to configure the settings of the antennas in order to begin connecting them. This is similar to configuring the settings of the main router and requires the default antenna IP address. In my case, it was 192.168.0.254. Go ahead and get the MAC address of each antenna as well. It can be found on the device or in the settings menu. Default Antenna Credentials (Remote and Base Antenna). Once we have the default address, we will also need the default log in credentials. As stated before, they can easily been found with a google search. In my case, it was username: admin password: admin; pretty common. I sharpied the IP address, SSID, and MAC address on the outside of the antenna to keep the devices separated. The names and IP addresses I mentioned above are examples and can be changed to your liking. Just remember to give the remote and base antenna an IP address that is not in the DHCP server scope. Now that we have everything we need and need to know, let’s begin configuring the antennas. Connect the base antenna to your computer with an ethernet cable either directly or through the small network switch. Make sure you are disconnected from your main network. This includes WiFi connections so disable the WiFi radio on your computer as well. Because my antenna is PoE, I connect it to the power injector (included) and then to the small network switch (then my client or computer to the network switch as well). The power injector is then plugged into an outlet. Be sure to connect the antenna to the PoE port on the injector and the network switch or computer to the LAN port. In order to connect to and configure the antenna, we will need to manually assign an IP address to the computer we are configuring from. Devices with different IP schemes cannot communicate with each other; we must set the computer IP address to the same IP scheme as the default antenna. Do this by going to the network adapter window and right clicking on the local connection. Select properties to display the dialog box. Select Internet Protocol Version 4 and click properties. Select “use the following IP address”. Enter an IP address that is within the same scheme as the default antenna IP address. For example, if the default antenna IP address is 192.168.0.254, enter 192.168.0.101. Click Ok, and close the dialog boxes. Your internet adapter should report that is it connected to an unidentified network. Now log into the antenna settings page by using the default antenna IP address and credentials: Open a browser and type the default antenna ip address. Log in with the default credentials. You’re in! Upon the first log in, the antenna may guide you through a step-by-step initial setup. During the setup you will need to designate the SSID and static IP address. You will also be asked to set the operational mode: For the base antenna we will want to set the antenna to AP or Access Point mode. I also recommend using some type of security verification: WPA2 security at the least. Write down the password. Check that the DHCP server is disabled. Do this by navigating to the DHCP server settings in the configuration screens. Remember that our main router will be assigning IP addresses to the clients connected. Most antennas will default disabled; however if left enabled, conflicts will occur. At any point during these configuration changes, the antenna may be required to reboot. After the reboot, you may need to change your client settings (the computer IP address) in order to reconnect to the configuration screens. For example, once I changed the static IP address of the antenna to 192.168.1.10, I could not reconnect to the device until I changed my client’s IP to 192.168.1.101. The base antenna is now configured. Connect the remote antenna to your computer in the same manner you connected the base antenna. Remember to keep the clients IP address in a similar scheme as the antenna in order to connect to the configuration screens. Log into the antenna settings page by using the default antenna ip address and credentials: Open a browser and type the default antenna IP address. Log in with the default credentials. You’re in! Follow the initial step-by-step setup again. During the setup you will need to designate the SSID and static IP address. This time select Bridge Mode with Local AP for the operational mode. This mode will allow you to connect back to the base antenna (Bridge Mode). In addition it will set up an additional Access Point for the area around the remote antenna (Local AP). If you choose to use a secondary Access Point, then just configure the device to Bridge Mode. The bridge settings will require you to designate the MAC address of the base antenna. You may opt to “survey” the available wireless networks to bridge to. This requires the base antenna to be on and functioning. It will list available wireless networks the device “sees”. If you configured a security feature on the base antenna, it will ask for those credentials as well. Check the DHCP server settings. Make sure the server is disabled. The remote antenna is now configured. *The initial setup for the antennas is not required. Changes may be made to the antenna via the normal settings screen. Most of the settings we will be changing can be found in the Network and Wireless topic screens. Remember that rebooting will cause you to disconnect from the antenna configuration screens. There are times when incorrect changes are made and you are “locked” out of the device (forgotten password, MAC filtering settings, etc.) Don’t fret! Hold down the reset button on the back to restore the device to factory settings. Before we connect the base antenna to the main network, lets test the connection from the remote antenna to the base antenna. Do this by connecting your client to the remote antenna (with an ethernet cable directly or wirelessly to the local access point). Make sure all devices are disconnected from the main network. Connect the base antenna to the PoE injector in order to power it, but do not connect it to anything else. This will simulate a computer connected to the remote antenna attempting to reach a destination at the base antenna. The only way the computer can communicate with the base antenna is through the wireless bridge we created from the remote to the base. Log into the settings screen of the remote antenna using the IP address you assigned to it. Under settings, there should be a speed test module. Type in the IP address you assigned to the base antenna and click test. If successful, the screen should display a bandwidth. Because we are indoors and the antennas are close together, this number should be high, >50Mbps. Since we have confirmed that our base and remote antennas are communicating, lets try connecting the base antenna to the main network. Do this by connecting the base antenna to the internet source or router with an ethernet cable. 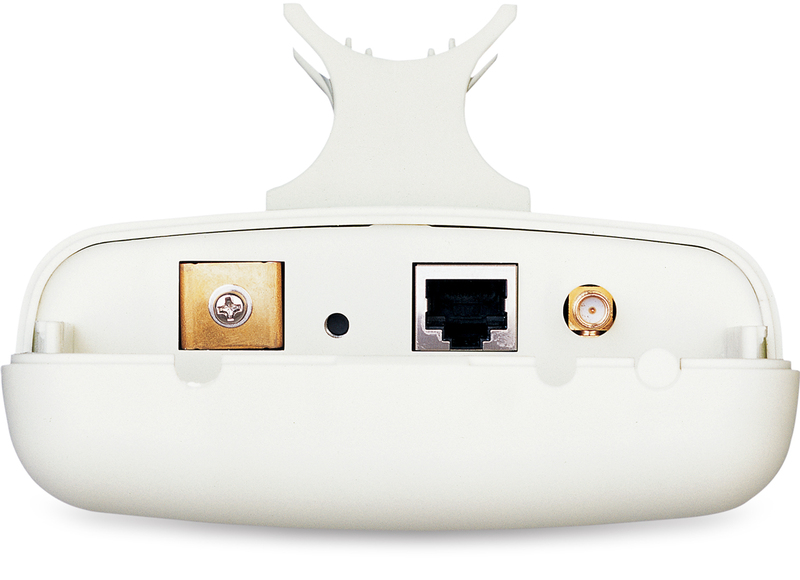 Now connect your client to the remote antenna (cabled or wirelessly). This simulates our base antenna connected to our main network and the remote antenna in a “remote” location. Open a browser and attempt to connect to the internet. If successful, try to log into the configuration screens of both antennas and the gateway (or main router). If all of these tests are successful, its time to go to the field. Hang your antennas in the desired locations. The great thing about PoE is that we can deploy the antennas away from a power source (300ft to be exact). Be sure there is a direct line of sight between the antennas. Go through the same isolated and attached tests as before. Use the antenna alignment modules within the configuration screens to fine tune the antenna position. This should be it! I use speedtest.net to check my internet speeds. Please not that this bandwidth will be limited to the level of service you have purchased from your ISP. Well I think I’ve covered it! Hope you’ve made a successful connection and can finally boot your cellular hotspots. Or you’ve been able to set up an IP camera to catch the tractor weight thief. I’ll be making a 3rd and possibly final post on extending your network with WiFi antennas in the coming weeks. It will focus on designing a larger network where we choose a base antenna that can support multiple bridges. It will also explain using secondary local access points in conjunction with the bridges. I may even climb the elevator for a final go at the 2 mile throw. I originally started this project back in late January 2014 in order to bring internet to several buildings adjacent to our main office. We were looking to put IP cameras in these buildings and connect a few computers for an inventory system in our chemical building. That is still a WIP; however, it got me interested in shooting WiFi over long distances. On the farm we have alot of sheds, containers, and buildings spread out over a good distance. Running hard cables is probably the best route for the future (especially if you’re a big IoT guy – we’ll get to that later). But in most situations on our farm, the cost of running cable is too great for practical use applications (we’ll also get to these later). I priced running fiber to several buildings and was not impressed with a >$5k quote. I highly doubt my dad is going to react pleasantly to spending $5k just because I want to make sure we’re prepared for the dawn of IoT. So I looked into a few places. One that caught my eye was SuperPass Antenna Shop which has alot of cool stuff but their products require separate antennas connected to separate devices connected to a another device, etc. This may be your cup of tea and these products may provide greater bandwidth and longer range but I wasn’t ready to deal with all the extra work at the time. Anyway if I wanted to deploy this kind of thing, it was going to require a good many pieces of hardware. I needed something easy and “all-in-one” if you will. After more research, my main man amazon.com came through with a TP-Link TL-WA7210N coming in at around $80 a pop. I bought two (and later 2 more that were different models and caused a whole n’other blog post of issues but that’s not for today). One of the features that sold me on this antenna was that it was PoE: Power over Ethernet. Basically the only thing I have to do in order to deploy this antenna is pull an ethernet cable to it. It can be as far as 150ft from a power source. For placing it on a roof or pole, its perfect. And it comes with a power injector. I needed to connect this weather station to internet (perfect IoT example). And I needed it connected RIGHT THEN (#kempquote) so I went to verizon and purchased a WiFi hotspot that had built-in hard cat5 connections similar to this model. Added it to my verizon plan for $20/month and didn’t upgrade my data because the weather station only eats up around 50MB/month. Not the greatest solution as I am an avid advocate against products with monthly fees (especially since this solution completely undermines my entire cause for creating a long range network), but it worked. Over the next 2 weeks I struggled with trying to throw WiFi from the main office to the 120ft tall grain elevator to the pump station (around 1.5 miles away) in an attempt to rid the verizon hotspot. Defeat. Although I did establish a connection, it was highly unreliable and caused IP conflicts to my main network. Flash forward to December 2014. Over the holidays I dusted off the despised antennas (and my broken spirit; if you’ve made it this far, I had to put some of this literary crap in here) and attempted the long range WiFi project again. This time I was shooting for 3/4 of a mile and I was only bouncing between the 2 original* antennas; what a world of difference. It worked. In the next post I’ll detail exactly how I did it. But first, why? Why did I go through all this trouble for internet? 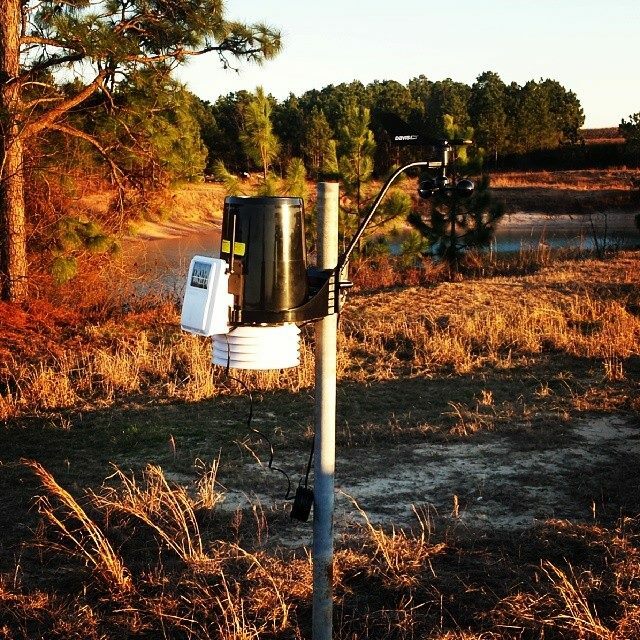 Weather stations, irrigation control, wind machine controls, field data entry, and the list goes on. All this data and control needs to communicate some how. So why not cellular? I’m cheap and data is expensive. For <$200 (one time purchase) I can connect to the pipe without being “metered” on usage. The weather station I have has an optional cellular plan for $20/month. And that’s ONLY weather at ONE station. I’ve seen plenty of similar schemes coming out of John Deere, Zimmatic, GPS trackers, etc. At least the verizon hotspot allows me to connect other devices. Plus there is value to connecting to your own network. Most cellular connections are dynamic (static costs more) which means I can’t communicate directly to the device. I have a raspberry pi project that has an inch thick of dust on it (by the way anyone with raspberry pi/python experience, please comment) where I’m making temperature recorders. They are roughly $50 a piece. So for the price of one weather station ($900), I can purchase 4 sets of antennas and deploy 10 temperature recorders… That’s alot of coverage.